Choosing where to leave your cat can be one of the more stressful decisions you’ll have to make before you go on holiday. 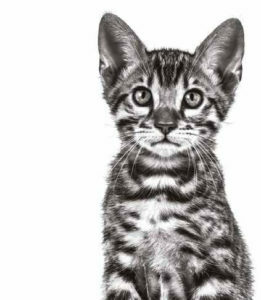 At ROYAL CANIN®, we understand that your priority is doing the right thing for your feline companion. When making your choice, remember to think of your cat’s needs above your own and put the demands of their personality traits first. With a cattery you can rest assured that you will have an experienced cattery owner (who obviously deals with cats all the time) keeping an eye on your feline companion. Cattery standards vary considerably, so it’s definitely worth visiting the cattery you are considering to look at the accommodation before you plan on leaving your cat there. You can also check online reviews and ask friends who have used local catteries. The main downside to using a cattery is that some cats can get stressed when they are taken out of their normal environment. Speak to your vet for recommendations to help manage or eliminate this issue for your cat. When choosing a sitter, you can be confident in the knowledge that your cat will be able to stay in their known environment whilst you are away. However, you need to be comfortable with the fact that someone you don’t know all that well will have access to your house and personal belongings. Therefore, make sure you check the sitter has the appropriate insurance in place. Also speak to customers who have called upon their services previously for references. A house sitter will more likely stay at your residence the whole time, whereas a pet sitter is more likely to call in at pre-arranged times. However, a pet sitter should have further experience in caring for cats than a house sitter does and may well be a cheaper option. A house sitter may have very little experience in cat care. Find all of this information out before you book anyone in to look after your cat. It may also be worth speaking to your local vets, as quite often their vet nurses will offer pet sitting services that may be of interest to you. If you do opt for a non-residential pet sitter, ensure they will still be able to spend several hours per day with your cat, to ensure your companion is happy and healthy and gets a prolonged period of human interaction each day. If you are lucky enough to have a good friend that is happy to check on your cat several times a day this could also be a viable option to consider. You need to make sure that your friend is happy to pay your cat some attention and check them over every day, as well as caring for their basic needs – providing food, water and a clean litter tray. The main downside to this option is that your friend may not be that knowledgeable about cats, so you should be prepared for them to call you if they have any concerns, no matter how small. You also don’t want to jeopardise your friendship or put your friend in a position they feel is hard to refuse. Whichever option you decide upon, don’t be frightened to ask your local vets for advice, as they may be able to guide you to the right decision based on your cat’s temperament and medical history. We would also strongly advise a trial run (for one or two nights at the most), before you leave your cat to embark upon a longer holiday. That way, when you do go away for a longer period, you can relax in the knowledge that your cat has already experienced this new method of care and had no previous problems. And don’t forget; always leave your emergency contact number and your vet’s number with whoever is caring for your pet – just in case. We hope this answered your question about cat holiday care. However, if you have another question about what to do for your cat when you go on holiday, cat care, or any other questions about your feline companion then we’d like to help. Submit your question below.